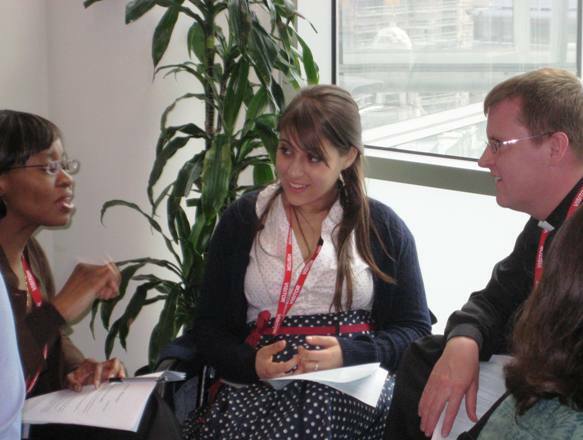 London Boroughs Faiths Network is an informal network of practitioners. It brings together people from religious and intercultural groups who are improving their neighbourhood or borough. We work with our local councils, police, NHS and other local statutory bodies to improve public services, especially for those who rely on them most. LBFN has been active since 2003, when regeneration programmes encouraged local religious communities to get involved and borough faith forums were on the increase. Will the blog make it easier for us to share news, links, info and what’s on in this busy capital? I hope so! A lot has happened since 2003. What do you think our priorities should be now? What are the issues? How should we tackle them? What do we need to be effective in the current context? Leave a reply below or comment on the blog. Our header image was taken at our London Peace Conference at St Ethelburga’s Centre for Reconciliation and Peace in the City. Thanks for visiting and look forward to being in touch. Govtoday presents our 2nd Annual National Efficiency & Productivity Conference and Exhibition: Changing the Culture of Government, Reforming Public Services to be held on Tuesday 3rd April 2012 at the prestigious Brewery Conference Centre, London. We would like to offer forum members funded places. We would love to tell you and your fellow interfaith practitioners more about the Insight Film Festival, an interfaith venture with UK and global reach: http://www.insightfestival.co.uk.